In the name of business, don’t get trapped in ‘busyness’! Learn to celebrate the only Life you have by living in the moment! Of course, I have felt like that. Everyone feels like that at some time in their Life. And I have realized that this feeling gnaws at you only when you want your Life to be predictable, when you want answers to all your questions. But, beyond a point, there are no answers in Life. When despite having everything material, like this gentleman who I met, if you still feel empty, listless, you must awaken to the reality that education, social status, a job, affluence, all these things cannot satiate you. I have come to understand that such emptiness must be celebrated. It must not be resisted. What this emptiness is teaching you is that while you have every ‘thing’, you are not happy. So, clearly, happiness doesn’t come from having things. Happiness is who you are when you simply are living in the moment; when you are enjoying your Life for what it is. The human mind is the culprit here. It is always grazing in the past or in the future. Which is why this man is feeling lost. He has everything that most people will crave for, but he’s not enjoying any of those. His mind is searching, yearning, pining for something else. He must realize that there’s nothing to gain or attain or achieve in Life. The only Life we all have is the Life that is happening to us in the moment. In his case, he doesn’t even know what he is searching for. In someone else’s case, they want more of what he has. In another’s case, they are grieving over what is lost. So, simply, as long as your mind is away from the moment, you can never be happy. What he said to me that day made no sense to me back then. But over the years of practicing mouna (daily silence periods), whenever I think back at that conversation, I recognize that Ramalingam was, after all, right. He was actually pointing to the fact that when you are in a frenzy of activity, you are being controlled by your mind. In the name of business, you are constantly feigning ‘busyness’; to the extent that you are trapped by it. Your emptiness comes from this sense of ‘busyness’ – this feeling of running, running, running, like on a treadmill, but getting nowhere! For this emptiness to make way for fulfilment, for happiness to be flowing from within you, you must learn to control your mind. You must drop your desire to become something and simply be. Just be in the moment, living, thriving, celebrating the only Life you have! Merry Christmas! Author AVIS ViswanathanPosted on December 24, 2016 Categories Just Be, Just Being, Life, Live in the moment, Spirituality, UncategorizedTags Art of Living, AVIS Viswanathan, Becoming To Being, Business, Busyness, Celebrate Life, Emptiness, Fall Like A Rose Petal, Feeling Lost, Happiness, Inner Peace, Intelligent Living, Just Be, Just Being, Living in the Moment, Living in the Now, Living in the Present, Mouna, Osho, Power of Now, Silence Periods, Spirituality, VaaniLeave a comment on In the name of business, don’t get trapped in ‘busyness’! Get some ‘zazen’ into your day today! To conquer the mind, you must know the soul. To know the soul, you must be silent. To know silence, you must just be. Just being may appear to be difficult. But it is not. And to keep it simple and silly, just as it sounds, don’t try to be. Just be. In Zen Buddhist practice, there’s this concept called ‘zazen’. It invites the seeker to simply sit, opening the hand of thought__which means drop judgment, let words, actions, events just unfold. A friend who is going through a troubled marriage was advised by her other friend to just be an observer and not be involved emotionally in the actions of her estranged spouse. I believe she was getting the most valuable advice. How can I be an observer when my world is falling apart, you may wonder? What else can you do? By trying to control the uncontrollable__Life__you are subjecting yourself to trauma. The suffering comes from this desire to control. Instead be detached. The essence of detachment lies in being. Not doing. Not becoming. Just being. Osho says it profoundly, “There is nothing to become. You are already that, it is already the case. Stop running after shadows. Sit silently and be. 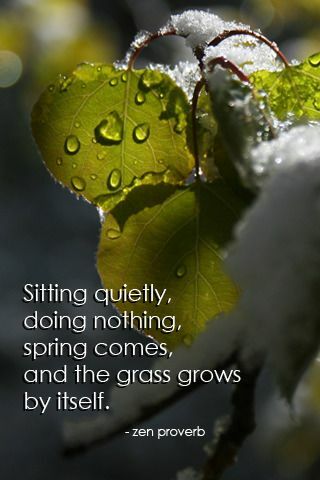 Sitting silently, doing nothing, the spring comes and the grass grows by itself.” What a beautiful perspective. Try and get some ‘zazen’ into your day today! Author AVIS ViswanathanPosted on July 17, 2015 March 14, 2016 Categories Art of Living, Inner Peace, Intelligent Living, Just Being, Osho, Zazen, ZenLeave a comment on Get some ‘zazen’ into your day today! ‘Just Being’ does not retard or impair progress. ‘Just Being’ ISprogress. 1. Being in the moment, engaged, mindful. Thoroughly involved. Which is a LOT of action. 2. 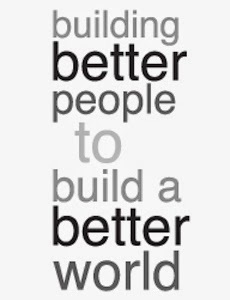 Being involved with also DOING what is possible, what is right and doing it well, in that moment, and yet BEING DETACHED from the outcome. When 1 and 2 are happening simultaneously, where’s the question of passivity or inertia or remaining grounded? You are in flight! You are soaring. Despite the storm, despite the chaos, your sails are filled with grace, energy and momentum! The Chinese character for mindfulness, nian, (pictured here), reveals its meaning. The upper part of the character means ‘now’ and the lower part means ‘heart’. Literally, the combined character means the act of experiencing the present moment with your heart or ‘Just Being’. ‘Just Being’ connects you to the source of your creation, helps you drop anchor and find bliss in whatever you do, wherever you are! Get off the “becoming treadmill”, just be! Stop competing, drop all comparisons, and you will live happily ever after! What could have been an intelligent conversation sadly ended there as samosasand dhoklas were served and everyone got distracted in the direction of all the food and tea. But I couldn’t stop thinking about the observations that were made that afternoon – one by a child and the other by a parent! And I wondered if we really need to be street smart and prepare ourselves for the real world? Think of what the real world really is: a place where everyone is busy running a rat race, where the spirit of inquiry and learning is stifled very, very early on in Life and people are only keen on their GPAs and placements, where top draw salaries are a means to acquire all material comfort and where innovation and enterprise and sacrificed on the altar of quarterly earnings and wanting to be seen as the number 1 and not necessarily striving to be the best! Competition has become the very basis of Life. No doubt competition, like in sport, brings out the best in a person. But to obsess oneself with competition, being street smart and constantly compare with others can ruin the joy of living. In fact, Krishnamurti has said, “Real learning comes about when the competitive spirit has ceased.” And he has also said, “The ability to observe without evaluating is the highest form of intelligence.” So, in effect, in the so-called real world that we have created today, there is no more learning. We have lost all our learning ability trying to grow our earning potential. And, obviously, at the cost of not employing our intelligence, we have begun to love, and therefore cling to, things and use people, whereas, it should be the other way round! It is this obsession with comparing with others, with competing with a desire to vanquish others, that has made our world, this real world of ours, such a cold place to live in. Driven by the hunger to be successful you have stopped celebrating your uniqueness. Instead of just being, you are on this ‘becoming treadmill’ – wanting to become someone else or wanting to become like someone else. Running on a treadmill has an inherent pitfall – you keep running harder no doubt but, in the end, you are still at the same place! Comparison with others, being in continuous, endless, competition, breeds ambition. No problem with being ambitious. But when ambition makes you combative, restless and subconsciously violent – where you are fighting continuously with who you are because you are wanting to be someone else – then your inner peace and happiness are destroyed. So stop trying to become – something, someone. Just be. Then, whether in the real world or not, whether street smart or not, you will always be happy and at peace with yourself! Author AVIS ViswanathanPosted on December 22, 2014 March 14, 2016 Categories Art of Living, Becoming, Bliss, Happiness, http://schemas.google.com/blogger/2008/kind#post, Inner Peace, Intelligent Living, J.Krishnamurthi, Just Being, Osho, Rishi Valley SchoolLeave a comment on Get off the “becoming treadmill”, just be!